Do you want to watch the big game but have friends that are not into football? We have the perfect solution. Watch the game with us and your friends. You get to watch the game while they enjoy bowling. You can even bowl with them. We will have the game on every t.v. including our big screen. 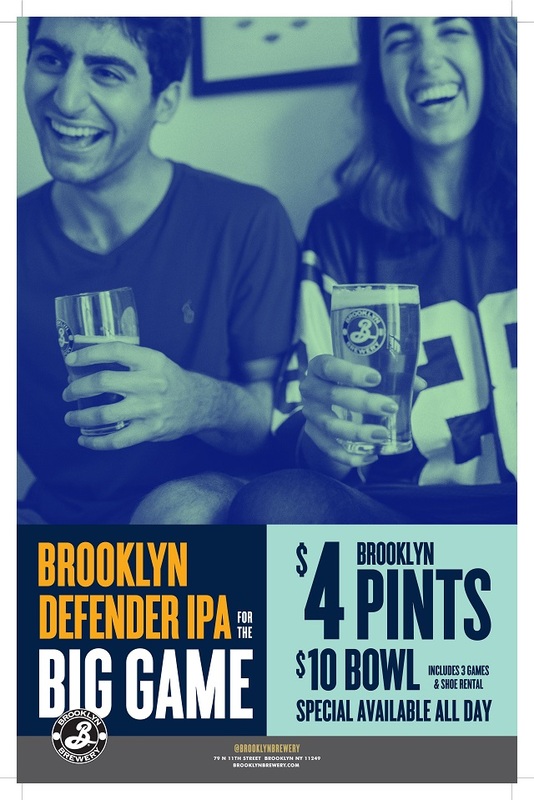 $4 on all Brooklyn beers.